There will be nine WorldTour ProTeams at the start of the Amgen Tour of California, race organiser AEG has announced, as International Cycling Union (UCI) rule changes allow for up to 65% of invited teams to be from the sport’s top division. 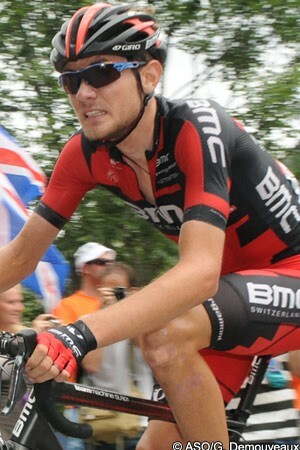 The BMC Racing Team of 2013 winner Tejay van Garderen (pictured) will return - although van Garderen himself will not be riding - as will American teams Cannondale Pro Cycling, Garmin-Sharp and the Trek Factory Team. Omega Pharma-Quick Step will also be on the start line, as usual, and Orica-GreenEdge will make its third straight appearance. Belkin returns to the race, having skipped last year’s edition despite Robert Gesink’s victory in 2012, as do Giant-Shimano [the as-yet-officially-announced new name of Argos-Shimano. Team Sky returns to California for the first time since 2011, when the team won two stages through Ben Swift and Greg Henderson. “After the first time I raced in the Amgen Tour of California I immediately knew I wanted to come as many times as possible,” he said at the race’s press conference. “Over the past four years I’ve had some of my best performances here. King expects the “Green Machine” to dominate much of the eight-day race, as he explained. Jens Voigt (Trek) has something of a following at the Amgen Tour of California, having been ever-present since 2006, and also confirmed his participation in the 2014 edition. While Sagan will look to dominate the sprint stages, and Voigt will likely be a virtually constant fixture in the race’s breakaways as usual, one likely general classification contender has confirmed that he too will be on the Sacramento start line in place of new teammate van Garderen.